Berkery Noyes Represents Class.com in its Sale to Cambium - Berkery, Noyes & Co., LLC. 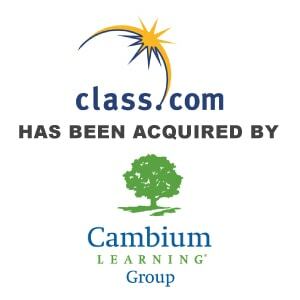 Berkery Noyes, a leading investment bank serving the information and education markets, announces that it represented Class.com, Inc. in its sale to Cambium Learning Group. Based in Lincoln, Nebraska, Class.com develops, provides, and sells digital curricula for students in grades 7 to 12 in traditional classrooms, blended classrooms, virtual schools, and other e-learning settings nation-wide. Its research and standards-based courses, trademarked by their well-sequenced design and use of multimedia, are delivered online and are principally used for credit recovery, drop-out prevention, drop-out recovery, and in alternative education. It provides courseware through various subscription licensing model and also professional services and turnkey virtual school solutions. “Class.com has an excellent reputation among its customers for courseware that delivers favorable learning outcomes. Its success is attributable to its dedicated, talented management and employee staff that will flourish under Cambium’s leadership,” said Mary Jo Zandy, Managing Director of Berkery Noyes. “We are pleased to acquire Class.com, a digital curriculum provider that focuses on serving the needs of at-risk and struggling learners similar to many of our companies. Class.com will enhance our offerings to our customers with additional technology-based programs,” says Dave Cappellucci, Founder and President of Cambium Learning Group, Inc.
About Cambium Learning Group, Inc. – Cambium Learning Group (Nasdaq: ABCD) is the leading educational company focused primarily on serving the needs of at-risk and special student populations. 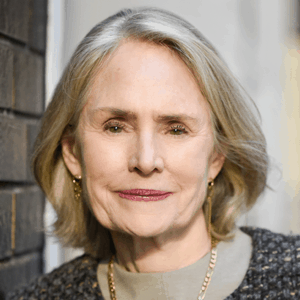 The company operates three core divisions: Voyager, which provides comprehensive interventions; Sopris, which is known for supplemental solutions; and Cambium Learning Technologies, which comprises IntelliTools®, Kurzweil Educational Systems®, Learning A–Z, and ExploreLearning. Cambium Learning Group is committed to providing research-based solutions that help educators raise the achievement levels of preK–12 students as well as adult learning communities. About Berkery Noyes – Berkery Noyes provides strategic merger and acquisition advisory services to middle-market companies in the United States and internationally. BNC has been involved in many notable transactions in the education and information sectors, including Thomson Reuter’s acquisition of Discovery Logic, Iron Data’s acquisition of Versa Systems, Internet Brands acquisition of Nolo, Random House’s acquisition of Ten Speed Press, Gale’s acquisition of HighBeam, Wicks’ acquisition of Gordian, Berlitz’acquisition of Second Language Testing Inc. and Oxford University Press’ acquisition of Roxbury. For more information, visit: www.berkerynoyes.com. Buyer: Cambium Learning Group, Inc.